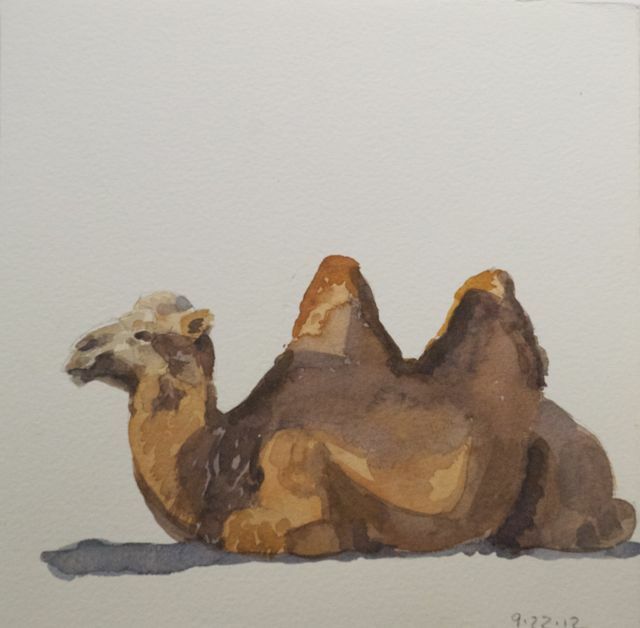 Mongolia Monday- Back Home And With Great Art News! 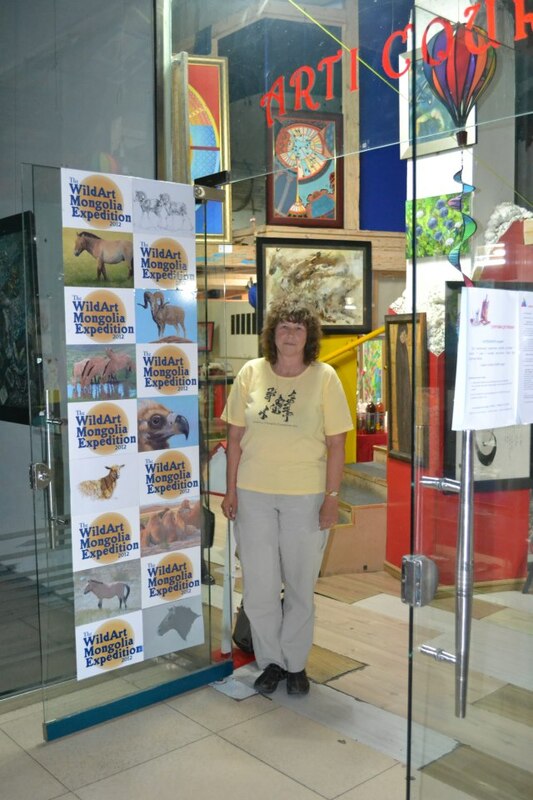 I arrived home from my seven week trip to Mongolia last Tuesday. I’ve been alternating catching up and doing….nothing or at least nothing more strenuous than watching a baseball game. The first order of business was to download and start categorizing the over 8000 images I shot on the trip. I always feel better when everything is safely on the hard drive, backed up to the remote Vault and visible in Aperture. 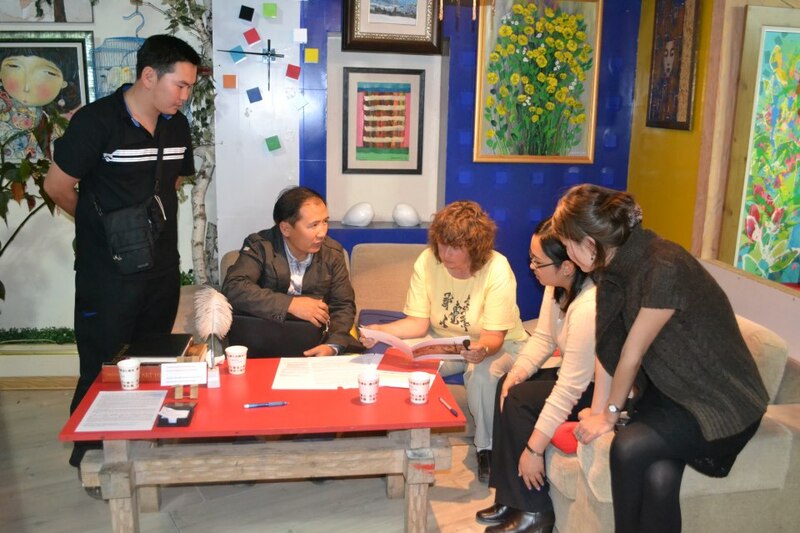 My final days in Ulaanbaatar were a bit of a whirlwind. The art event at ArtiCour Gallery was great! There was a steady stream of people all day, some of whom I knew. 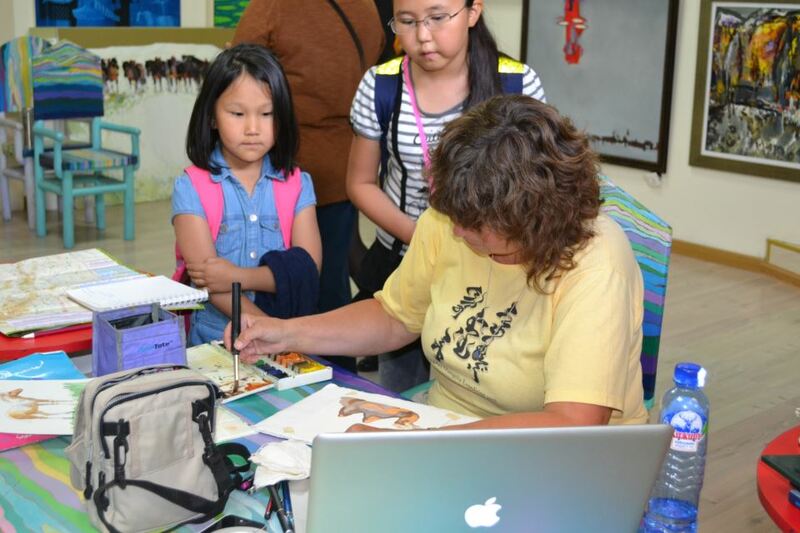 There was a lot of interest in the WildArt Mongolia Expedition and at least three artists expressed an interest in going next year. 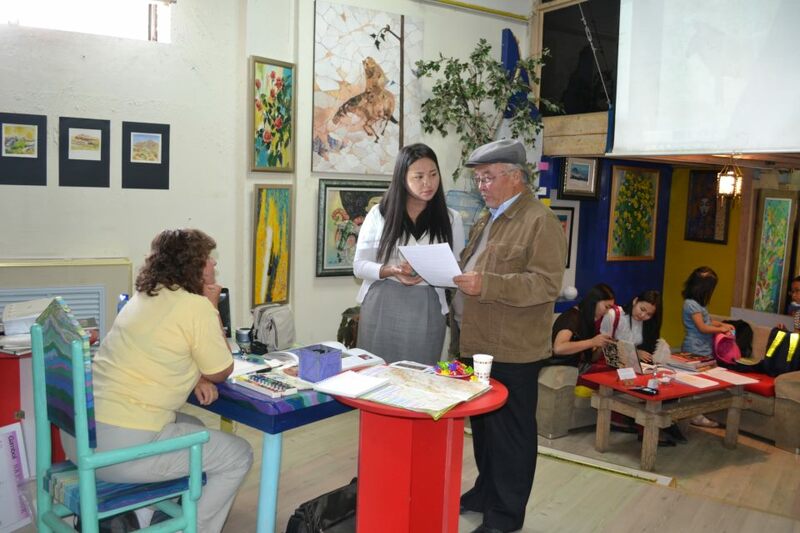 Many art students came by. 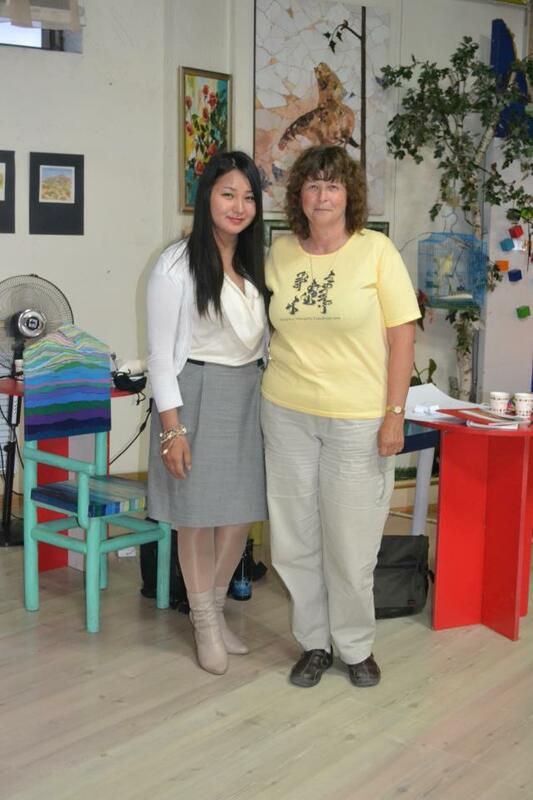 The director of a Mongolian magazine which publishes articles on artists stopped in and said that they want to do an article on my and my work! 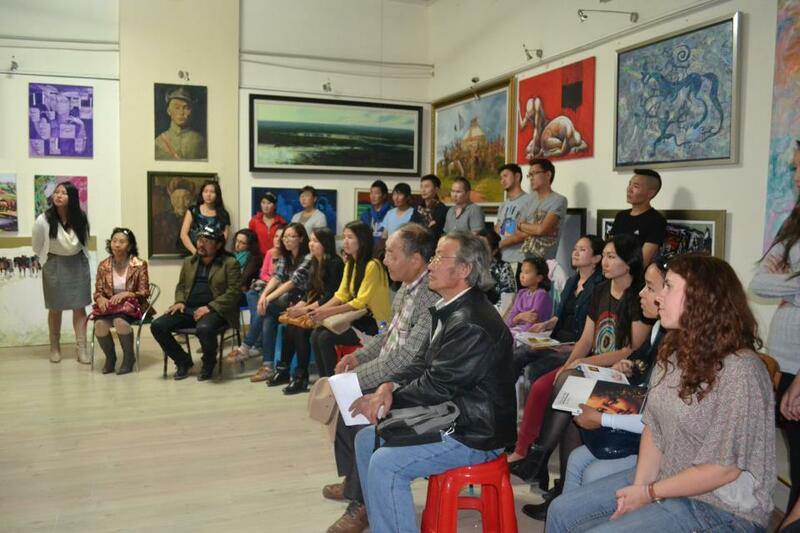 Even more special to me personally, a number of very prominent Mongol artists attended, all of them members of the venerable Union of Mongolian Artists, which was founded in 1944. 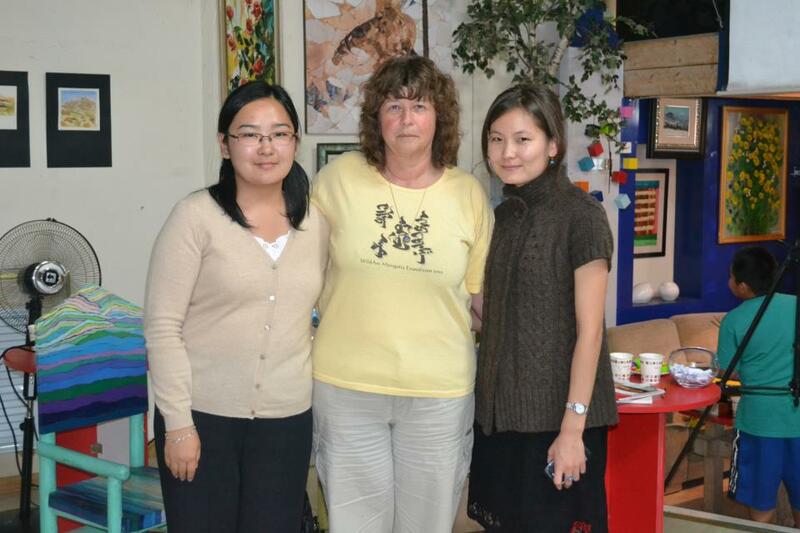 Two of them invited me to visit their studios. But that will be a tale for another post. 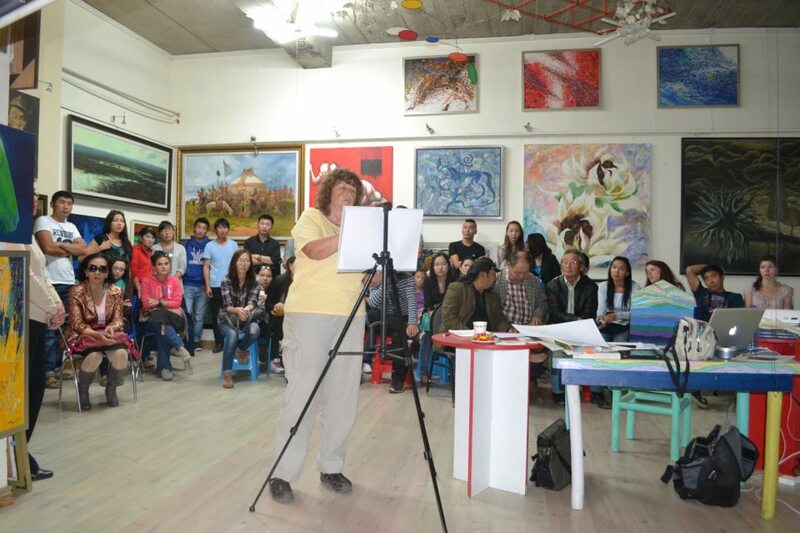 Here’s a selection of photos taken at “American Artist Susan Fox-The WildArt Mongolia Expedition”, which was the first in ArtiCour’s new Visiting International Artists series. I couldn’t have had a better, more attentive group and they asked some great questions later on. 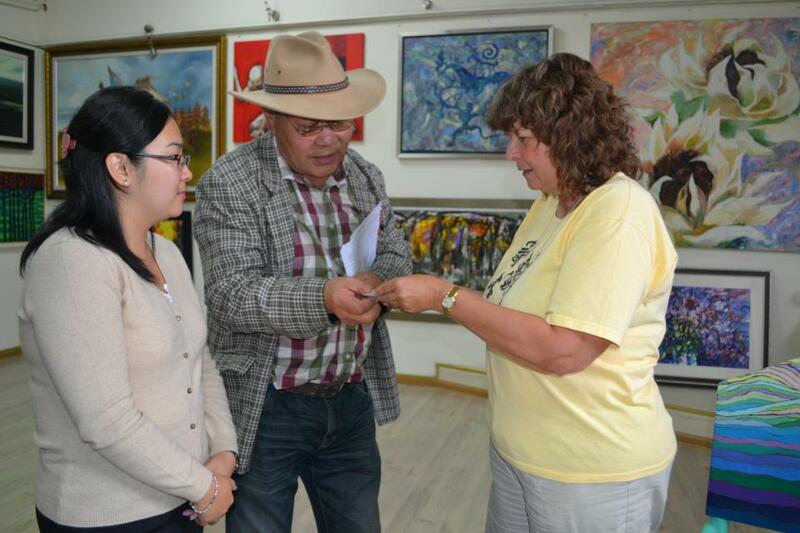 Meeting with Ekhbat Lantuu, President of the New Century Art Association, which promotes environmental issues through the arts. What great news, Susan. Looks like you had quite an audience! 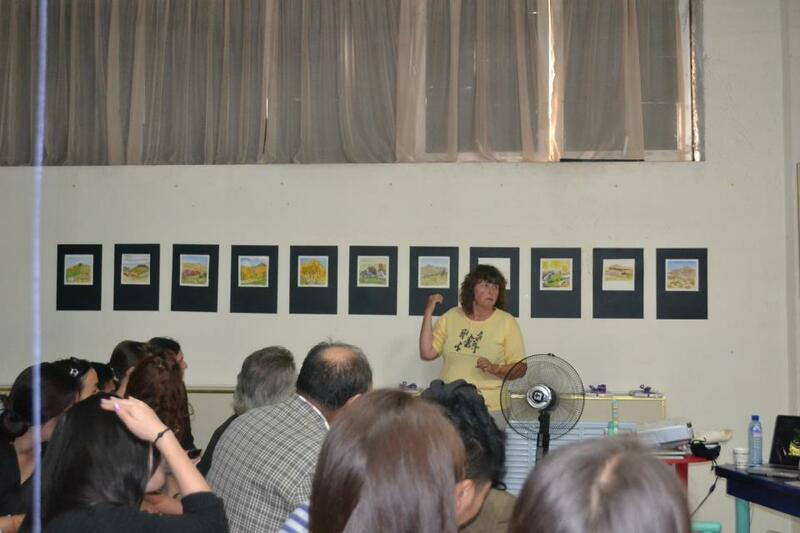 I’m excited to see you getting some serious recognition in Mongolia.